Nick Feamster, an associate professor in the college of computing at Georgia Institute of Technology, found his way to SDN out of utter frustration with managing traditional networks. Troubleshooting networks on a device-by-device basis was useless, but SDN would allow for a more centralized control of large groups of switches -- and therefore a more cohesive method of problem solving. Now considered an SDN pioneer, Feamster went on to apply OpenFlow SDN and centralized control to network access control. Feamster and his team created the control plane, Resonance, that lets operators use programmable switches and controllers to enforce high-level security policies across the network based on information from distributed monitoring and inference systems. Network access control is only one of many applications that will be improved by SDN. According to Feamster, SDN alone is not a tool; rather it's a way to make network configuration and management simpler, which will spawn many more applications. 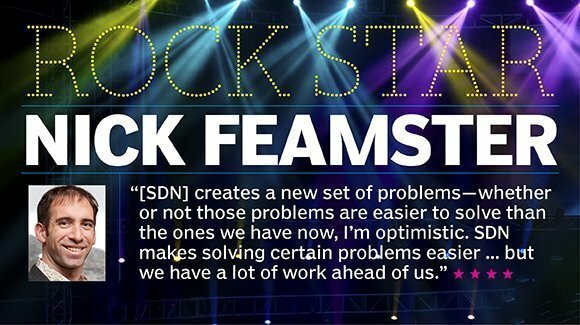 Read Feamster's spotlight and learn more about using OpenFlow SDN for network access control.